Sitecore(SC) has a decent article on how to set up a Sitecore project on Visual Studio. This is a pretty good start but it does not quite meet our company’s requirements. You need to have multiple websites running on one instance of SC and you want each website to have its own Visual Studio project. You are not using a virtual folder per website. You want to manage multiple Class Library/Child projects within each website project. You want to keep the Renderings, Sub-layouts, Layouts, Associated files (css, js etc) and DLL’s of each website independent. Our company has worked with multiple projects in Sitecore v5.3 and we have also Started a new project using Sitecore v6 (Visual Studio 2005 and 2008). I can safely say that we have come up with a tried and proven project structure that I can recommend that everyone can and should use. Please follow the SC developer cookbook if you are only going to ever have one website running on your instance of SC. There is a fair bit to write on this entry and I will be slowly updating it, if anyone is in desperate need to this information right now then please leave a comment and I will try to speed things up! This claims that Sitecore and Telligent have integrated to make a convenient solution combining the power of a social networking/collaboration platform with the flexibility of a CMS system. This solution is not as straight forward as it sounds and it is very poorly supported . . . . I strongly suggest that you do not waste your time heading down this path if you can avoid it. It provides a way for you to use community functionality within a Sitecore site (not the other way around . . . in case you were thinking about pulling Sitecore content into a community site). The solution is out dated and will not work with the latest versions of Sitecore. We needed to Drive a Community server site and pull Content + Media out of Sitecore which will be used within Telligent community server via Widgets. We also embedded content from Sitecore directly into some of the community theme aspx files. The Community server web site also needed the ability to upload media items directly into Sitecore. I found that the best method to pull out content from Sitecore into another web application is via a Web Service or potentially a REST service which will run within the Sitecore web application. This will give you the access required to Update/Create Sitecore content via a separate web application. Faulting application w3wp.exe, version 6.0.3790.3959, faulting module unknown, version 0.0.0.0, fault address 0x709a2075. Indicates if performance counters are enabled. We have made this change and it seems to get rid of the issue. Seems like Sitecores backend performance monitoring may be using some .NET 3.5 functionality that causes this error (this is just a guess). I didnt want to use Forms Authentication once and I decided to make my own password hashing just for the hell of it, here is a very simple implementation. The goal was to save a user and the users password as a hash + a random salt string for increased security. Also wanted to be able to generate a new password and have a hash + salt created for that new password I generated as can be seen from the following interface Crypto.cs. Note: Yay downloaded a tool that actually Generated HTML from my code properly!! from here. /// in the database for the given user. //Compute hash based on source data. Thats all there is to it. I just made this is a class library project names PassEncrypt. 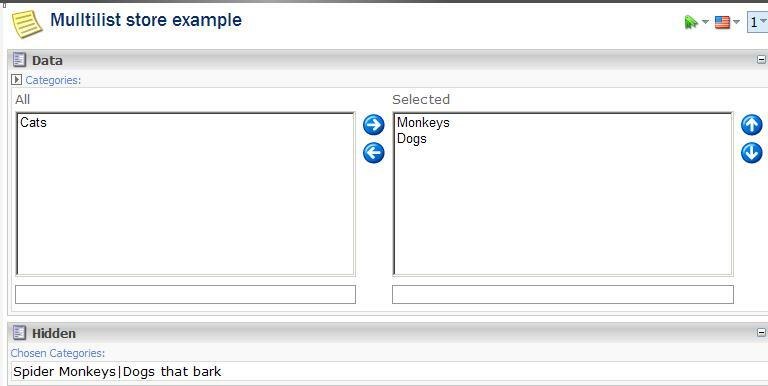 Our clients have ‘subject’ and ‘function’ Metadata fields within their web page. They wanted to be able to content manage this subject and function list . They then wanted to be able to assign a subset of these function and subject keywords into each web page item (so all the subjects and functions are common to the whole site). The cleanest solution to this problem was to define a bunch of simple text items for each of the subjects and functions within specfic folder items. We would then create two multi lists in the Metadata base template (one for subject and one for function) and point them at these respective source directories. Now think of the situation: We have 5 subjects and 3 functions on average per web page. In the background, we are going to have to pull out data from 8 related content items every time we load a given page. We did not want to do this so we devised a simple work-around that would let us retain the useability of the method discussed above but also ave all this related content available on the one item when it needs to be served up. We added two hidden (not visible to author) text field within the Metadata base template to correspond with each multilist. These two text fields will contain the content (not the Id’s) of the ‘Description’ field of the referenced items seperating each with a ‘|’ delimeter as can be seen below. </event>Drawbacks of this solutionUnfortunately if the content author changes an existing subject or function then the current items will not automatically change to reflect the new update. The new change will only get reflected on existing items once those items get edited for any reason and re-saved (I have found that some edit needs to be made, i.e. even a smal re-sort of one of the metadata multilist fields, otherwise the item:onsave event does not fire even if save is clicked). In our case the user will most likely only add new subjects and functions and not change existing ones.